Design devotees are pretty clear about pursuing their passion. They want outstanding accommodations, terrific dining and superb service, but most of all they crave destinations with multiple golf courses, each with significant architectural pedigrees. To experience a Hall of Fame of modern designers this fall, check out these four properties. Reynolds Lake Oconee Greensboro, Ga. reynoldslakeoconee.com Average October Daytime Temps: 77 degrees Make No Mistake—These Five Tracks Are A Georgia Peach Great Waters (Jack Nicklaus, 1992) The top-ranked Reynolds layout seamlessly fuses beauty, challenge and playability as it hugs the shoreline of Lake Oconee. Currently closed for renovation, the design tweaks to Great Waters will benefit but stay deeply true to the original. Oconee (Rees Jones, 2001) A big, bold layout. Oconee’s rolling terrain sweeps through massive pines and mixes great shotmaking options with eye-candy views. The par-4 18th, which demands a bite-off-as-much-as-you-can-chew drive over an inlet of Lake Oconee, is a standout. National (Tom Fazio, 1997) The Faz tosses in all of his design enticements in this 27-hole journey, from wide, hog-backed fairways that slope hard off to one side or both, to large bunkers and a vast scale that encourages the power game. 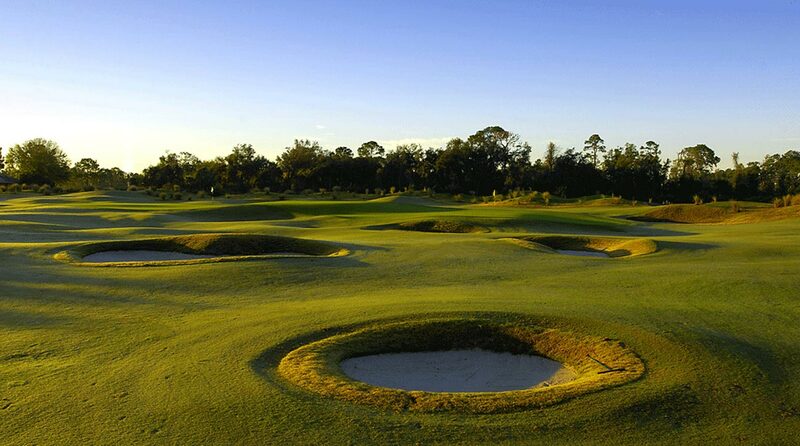 Preserve (Bob Cupp, 1987) Reynolds’ debut course enjoyed the input of fun-lovin’ Tour pros Fuzzy Zoeller and Hubert Green, so it’s no surprise that the emphasis here is on playability amid the pines, with forced carries and hazards kept to a minimum. Landing (Bob Cupp, 1986) The first course built on Lake Oconee was known as Port Armor until 2009. Now part of the Reynolds family, it touches down with a series of holes that get really testy when the breezes stir. October Package The Reynolds Unlimited golf package includes luxury accommodations in a cottage or a condo, Southern-style breakfast, unlimited golf, cart, forecaddie, and practice facility use. Rates start at $500 per person, per night. 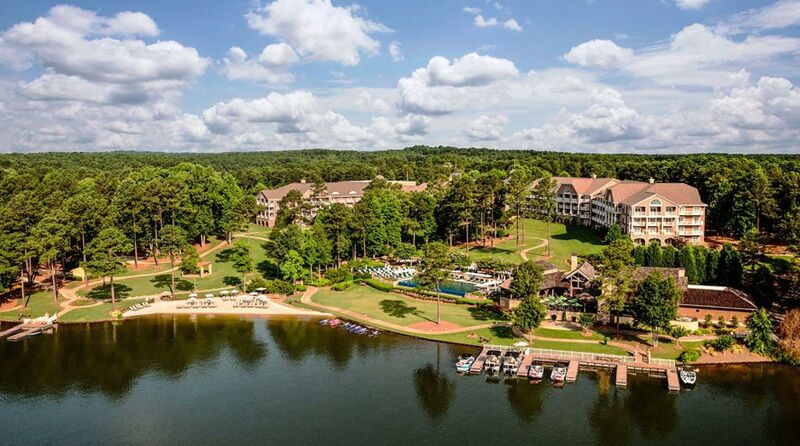 An aerial view of the golf course and resort at Reynolds Lake Oconee. Villas of Grand Cypress Orlando, Fla. grancypress.com Average October Daytime Temps: 84 degrees Cypress's Two Course Offerings Are Grand Indeed Grand Cypress Old (Jack Nicklaus, 1984) The early Nicklaus design style is on full display at this 27-hole layout, which dishes out mounds, lakes and pot bunkers in abundance. The North/South combo hosted the 2011 LPGA Tour Championship, while the East trots out the obligatory 1980s island green. Grand Cypress New (Jack Nicklaus, 1988) The 18-hole New track is a surprisingly faithful, fun homage to the Old Course at St. Andrews, where Jack won two British Opens. Double greens, winding burns and more than 140 bunkers will have you thinking kilts and bagpipers. October Package The Villas at Grand Cypress’ Stay & Play package includes Club Suite or Villa-style accommodations, daily 18-hole play, cart, rental clubs, range use and club storage, plus daily breakfast at The Club. Rates from $400. The Villas at Grand Cypress. Streamsong Resort Bowling Green, Fla. streamsongresort.com Average October Daytime Temps: 87 degrees The Florida Outpost Of Your Dreams—Without The Oceanfront Streamsong Red (Bill Coore/Ben Crenshaw, 2012) No modern architects are as decorated with “Best Of” honors as Coore and Crenshaw, and the Red shows why. Tall, odd-shaped sand piles and firm-and-fast fairways define innovative holes such as the 474-yard, par-4 opener, with a drive over water and sand, and the 208-yard, par-3 16th, with a demanding forced carry to a “Biarritz” green. Streamsong Blue (Tom Doak, 2012) One of the most influential architects of the modern era crafted a set of wildly undulating greens to pair with his clever contours, risk/reward tests and sandy backdrops. Unforgettable is the 203-yard, par-3 seventh, which calls for an all-carry shot to a green cocooned in sand. Streamsong Black (Gil Hanse/Jim Wagner, 2017) Longer, bigger and bolder than its elder siblings, this Aussie Sandbelt–style track wows with superior variety, alternate routes, ground-game emphasis and sand everywhere. October Package The Stay & Play 18 package includes luxury accommodations in the lakeside Lodge or Clubhouse, one round on Red, Blue or Black, breakfast and discounts on replay rounds. Rates from $375 per person, per night, based on double occupancy. 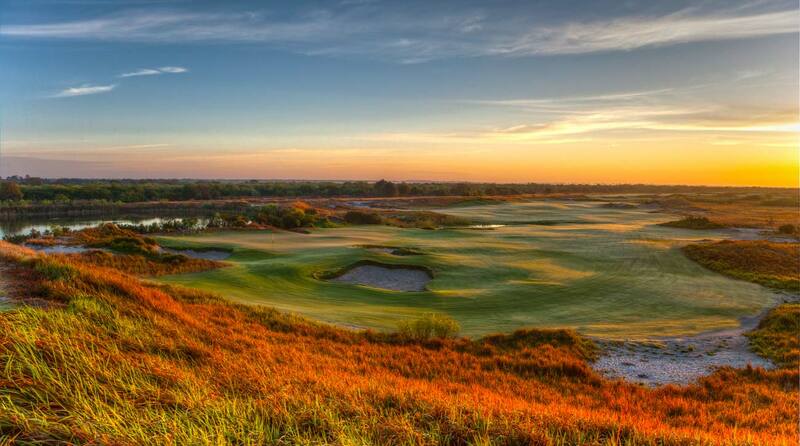 Beautiful views only at Streamsong. Colonial Williamsburg Resorts Williamsburg, Va. colonialwilliamsburg.com Average October Daytime Temps: 70 degrees Where History And Three Great Courses Converge Golden Horseshoe Gold (Robert Trent Jones Sr., 1963) Jones created the terms “Heroic Design” and “Signature Course.” The Golden Horseshoe Gold is emblematic of his greatest works—it’s a hilly, heavily wooded layout that dishes out a superb quartet of par 3s paced by the stunning downhill 16th, its banana-shaped, peninsula green guarded by water and bunkers. Golden Horseshoe Green (Rees Jones, 1992) Trent Jones’ son Rees carved this large-scale spread from wooded, rolling terrain studded with mounds and ravines. It played host to the memorable 2004 U.S. Women’s Amateur Public Links Championship, when Yani Tseng downed defending champ Michelle Wie 1-up. Spotswood (Robert Trent Jones Sr., 1964) While only a par-32 nine-holer, this little layout serves up satisfying golf in a bucolic setting, framed with trees but rendered very playable for families with roomy fairways and few hazards. October Package The Freedom Golf Package features stays at one of six properties, golf on the Green, Gold ($24-$80 seasonal premium) and Spotswood, range balls and breakfast at select hotels. Rates start at $217 per night.